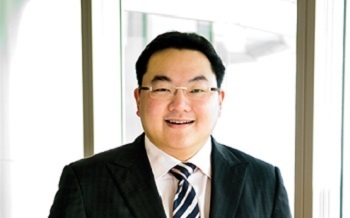 KUALA LUMPUR (Nov 19): The Park Lane Hotel located in New York City can be sold to the Abu Dhabi state-owned Mubadala Investment Co after controversial deal maker/financier Low Taek Jho aka Jho Low (pictured) agreed to drop his claims to the hotel in a US forfeiture lawsuit, reported Bloomberg yesterday. The report said that “intermediary companies that hold Low’s interest in the property” have informed in a filing last week in the federal court in Los Angeles that “they will withdraw their claims”. This latest development will mean that there would most probably be “an expedited sale of the hotel to Mubadala and other investors”, a spokesman for Low wrote in a statement. Previous reports have revealed that Low purchased the hotel back in 2013 in a joint venture with US real estate company Witkoff Group for approximately US$654 million (RM2.74 billion). “Every week, the special forces investigating the case will have a discussion for action to be taken as soon as possible...the investigations are running smoothly and we are trying to have it completed very soon,” Deputy Inspector-General of Police Tan Sri Noor Rashid Ibrahim told the media in Penang last week. He also added that the police are in the midst of preparing the investigation paper by compiling all evidence, including from former Prime Minister Datuk Seri Najib Tun Razak and his wife Datin Seri Rosmah Mansor, into an investigation file before handing it over to the Attorney-General for further action.